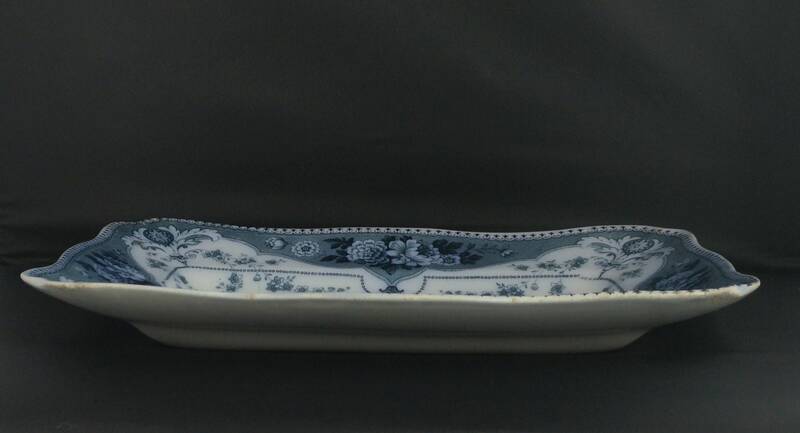 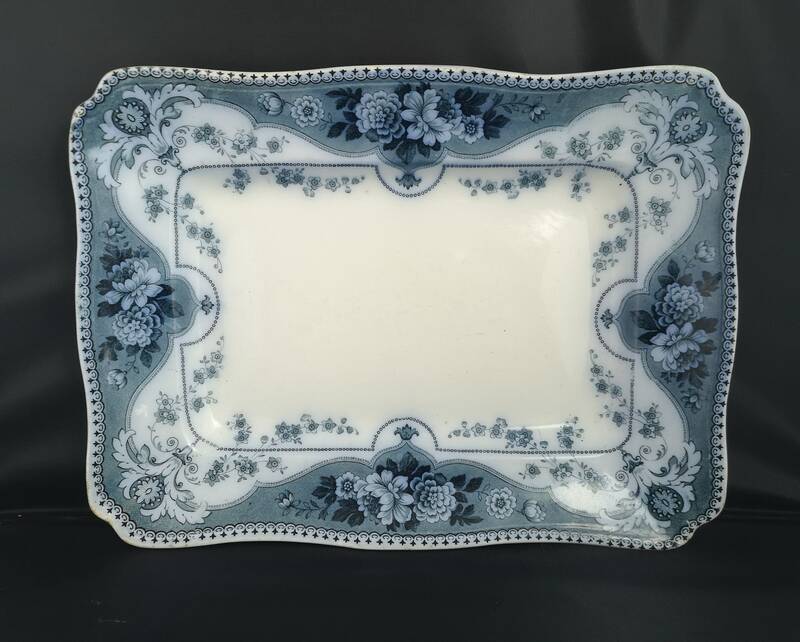 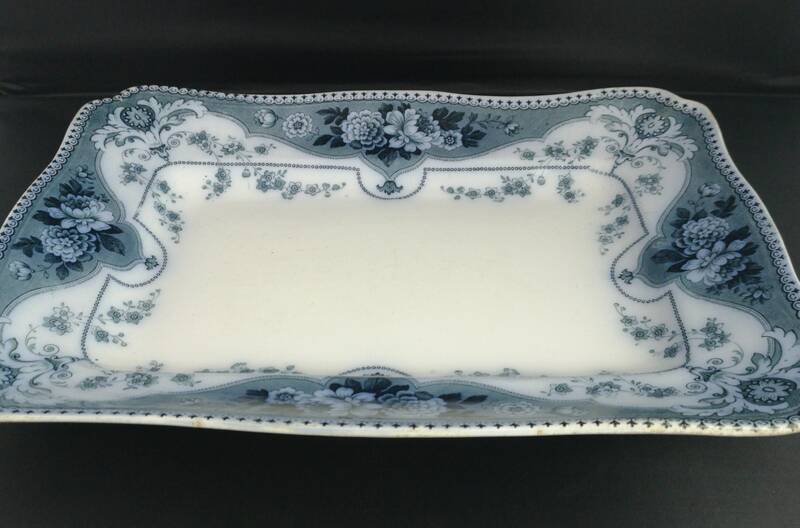 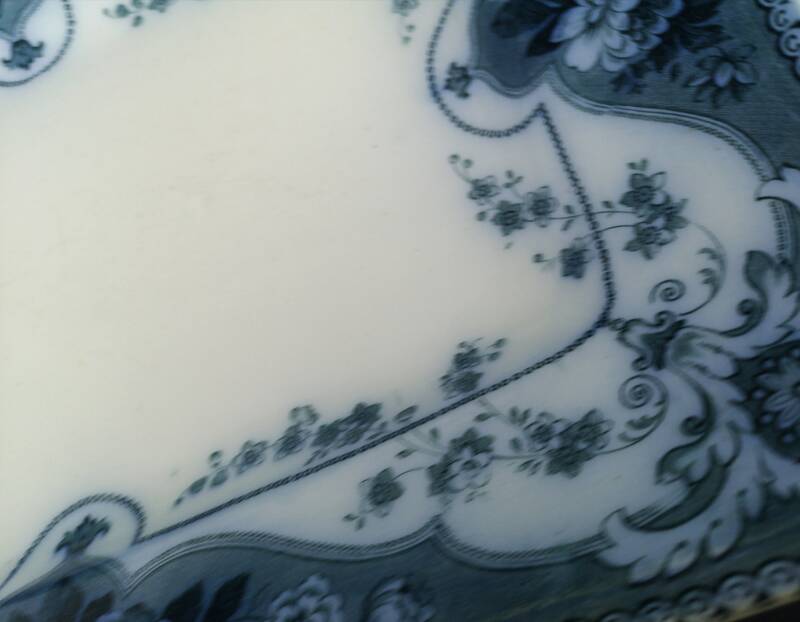 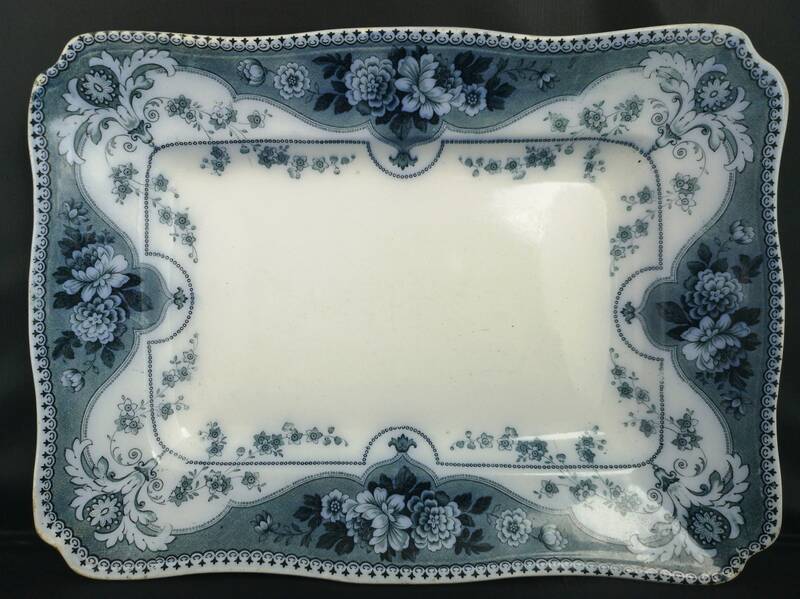 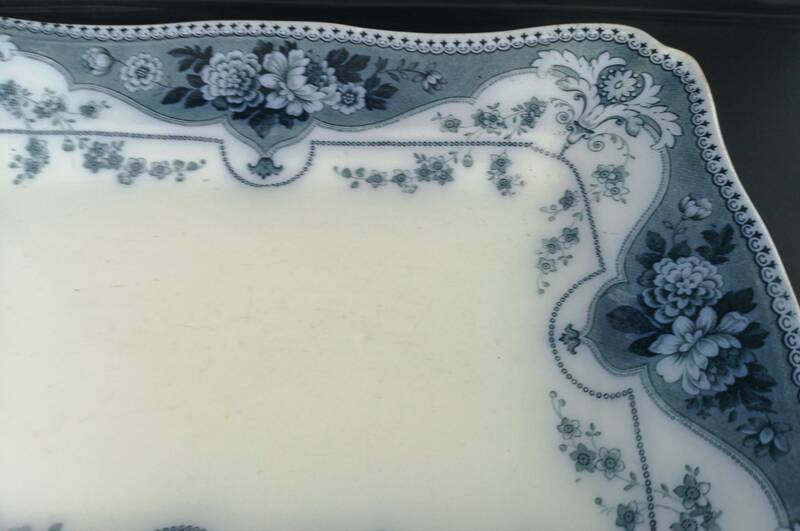 A very attractive late Victorian, antique flow blue platter. 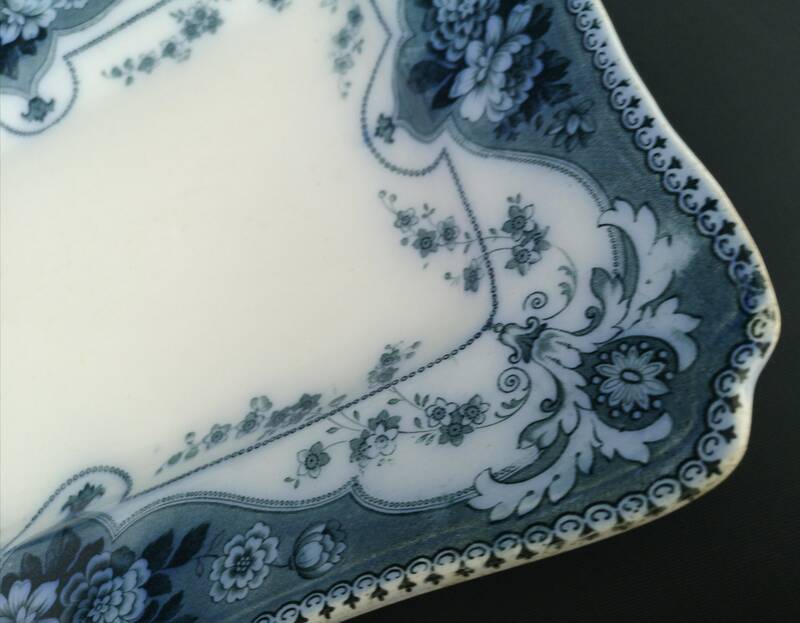 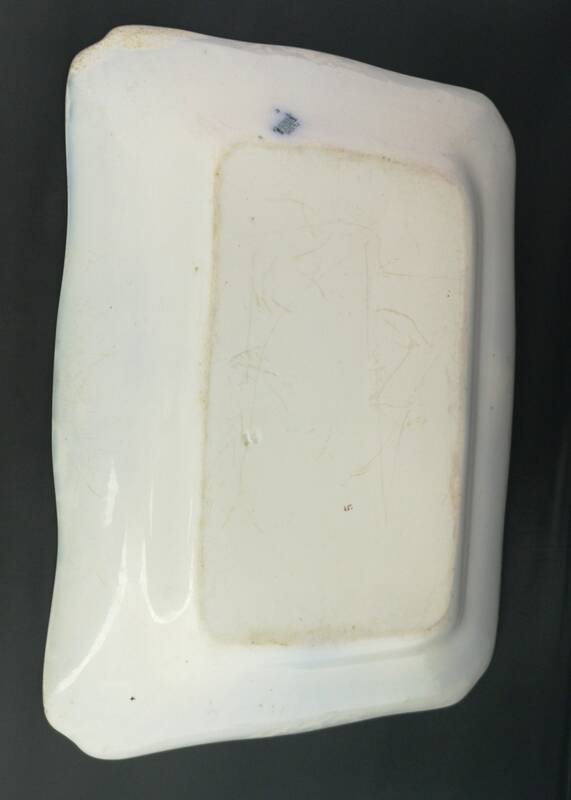 Soft paste porcelain it has some very fine detailing in a deep indigo blue on a pale white ground. 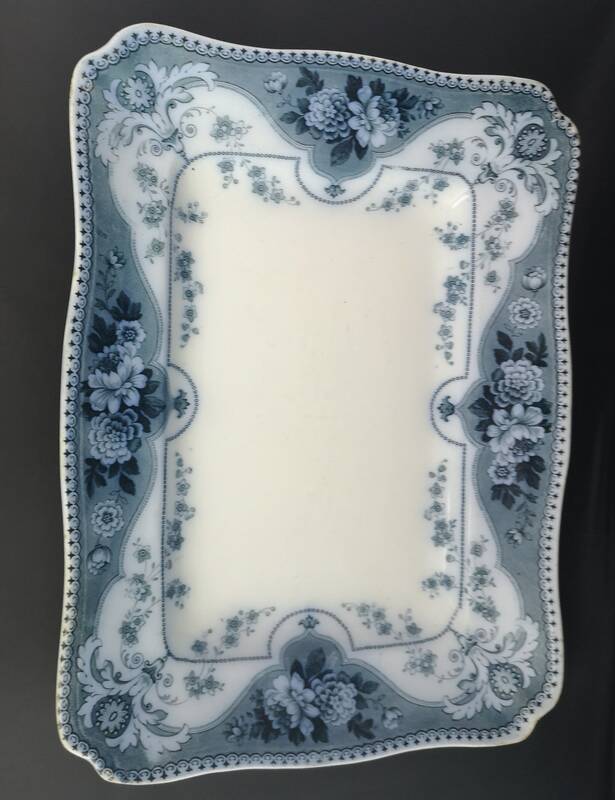 A very pretty and well made platter. 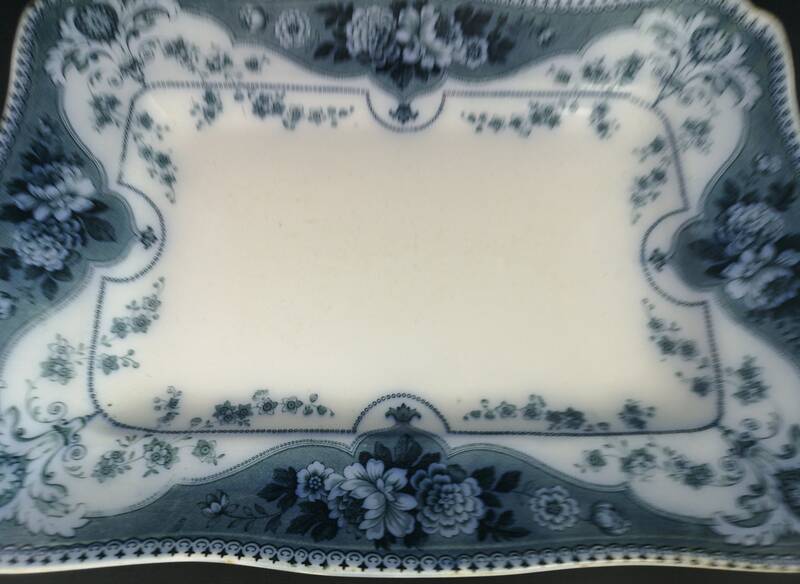 Late Victorian, F & Sons (Ford and Sons) it is Argyle, Burslem, marked to the underside in blue with an impressed number.